If you use 4G offshore, we can improve your current service! 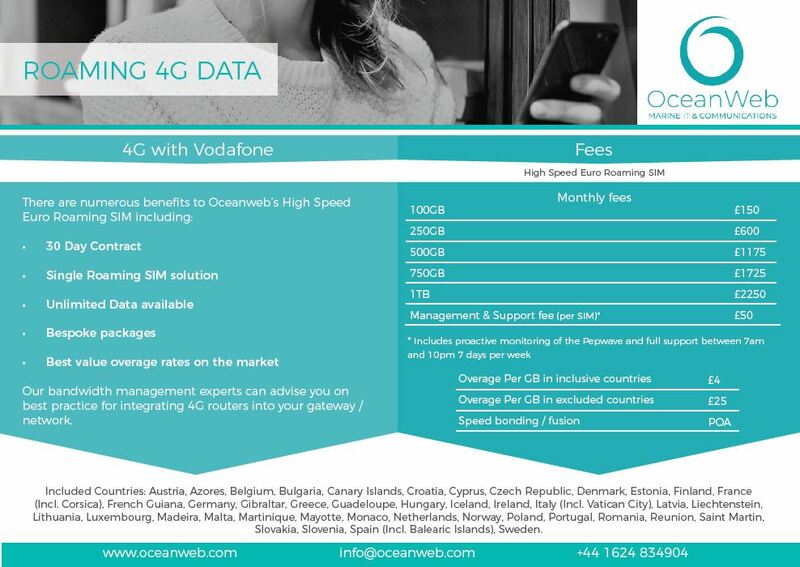 With our new Europe 4G data rates, we can offer a variety of packages to suit your requirements and we have some of the lowest overage rates on the market. You can also boost your 4G by installing one of our OMDOs. The OMDO combines & boosts 4G signal, delivering a working service up to 52kms offshore (depending on available 4G coverage and terrestrial antenna location etc).